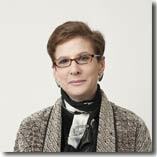 ACCL » Axelroth, Lynn R.
1998-2005: First Managing Partner, Philadelphia Office. 1996-1998: Member, Professional Personnel Committee and Co-Chair, Non-Partner Evaluation and Compensation Committee. 1994-1995: Partnership Allocations Committee.1985-91: Associate, Real Estate Department. ABA Forum on the Construction Industry: Member (2001-present), Governing Committee; Chair (1997-2001) and founding member of Division 12 – Owners’ and Lenders’ Division; Member (1996-1997) Division 2 – Contract Documents Committee. ABA Real Property Section: Co-Chair (1999-2002; Vice-Chair 1997-1999), Committee on Construction Lending; Member, Committee on Workouts and Foreclosure; Member, Design and Construction Committee. Former Member, International Association of Attorneys and Executives in Corporate Real Estate. Former Member, International Bar Association. Chair (1989-1991), Partnership Law Committee, Philadelphia Bar Association, Business Law Section. Allied Member, American Institute of Architects and The American Architectural Foundation. Formerly, Construction Industry and Commercial Arbitrator, American Arbitration Association. Doctoring AIA Documents for the Health of the Owner, Pennsylvania Bar Institute 6th Annual Real Estate Institute, November, 2002, Philadelphia, PA. Fundamentals of Construction Law(Chapter 1, Owner’s Issues), ABA Publications, 2002. Understanding the AIA Documents, Pennsylvania Bar Institute, 2000, 2001 and 2002. Construction Owner’s Concerns in Construction Loan Agreements, ABA Real Property Section, Miami, FL, April 2000. AIA Contract Documents: Of Antelopes and Alligators – The A201 Waiver of Consequential Damages from the Owner’s Perspective and Other, Troubling Tales, American College of Real Estate Lawyers, Palm Desert, CA, March 2000. The New AIA Construction Documents from Owner and Lender Perspectives, Probate and Property, November/December 1999, Vol. 13, No. 6Watch Out for Seven Issues When Owner’s Lender Demands Assignment Agreement, Construction Company Strategist, Brownstone Publishers, Inc., October 1999 (co-author). What Construction Lenders Need to Know About Construction Contracts, CLE International, June, 1998. The New AIA Construction Documents, ABA Forum on Affordable Housing, May, 1998, Washington, D.C.A Guided Tour Through the 1997 AIA Construction Documents, ABA Real Property and Probate Section, Spring Meeting, May, 1998, San Antonio, TX. The New AIA Construction Documents From the Owners’ and Lenders’ Perspectives, Southern New Jersey Development Council, February, 1998, Mt. Laurel, N.J.AIA Document Revisions, International Association of Attorneys and Executives in Corporate Real Estate, April, 1998, Captiva, FL. The AIA A201 Favors Contractors Not Owners, The Legal Intelligencer, October 20, 1997. Of Antelopes and Alligators: The AIA A201 Waiver of Consequential Damages from the Owner’s Perspective, ABA Forum on the Construction Industry, October, 1997. Construction Loan Documentation: Notes, Mortgages and Guaranties, CLE International, June, 1996 and 1997. Americans with Disabilities Act: Building Owner’s Vigilance Required, Commercial Realty Review, July/August 1995. The Lender’s Perspective on Insurance Issues in Real Estate, Development and Construction, Pennsylvania Bar Institute, 1995. Contributor (Pennsylvania Remedies),National Summary of Enforcement Remedies, ABA Publication by the Committee on Foreclosure and Related Remedies, 1995. Built for Success: Supervising Improvements to Office Space, Focus Magazine, March 27, 1991. Minimizing the Risk of Tenant Fit-Out Work: When the Tenant Hires the Contractor, Tri-State Real Estate Journal, July 27, 1990. Minimizing the Risk of Tenant Fit-Out Work: When the Landlord Provides the Contractor, Tri-State Real Estate Journal, July 20, 1990. What Measures Can Developers Take to Insure a Project’s Completion in an Uncertain Building Environment, Tri-State Real Estate Journal, July 20, 1990. What Every Owner Needs to Know About AIA Construction Contracts, Pennsylvania Bar Institute 5th Annual Real Estate Institute, November, 2001, Philadelphia, PA (Lecturer). Rainmaking: Listen and Learn, Commercial Real Estate Women, Past Presidents’ Breakfast, September 2001, Philadelphia, PA (Moderator). Beyond the Four Corners: Implied Terms, Liabilities and Defenses in Construction Contracting, Forum on the Construction Industry/TIPS Fidelity & Surety Law Committee Joint Conference, January, 2001, New York, NY (Panelist). Lenders Issues in Construction Contracts, Pennsylvania Bar Institute 4th Annual Real Estate Institute, December 2000, Philadelphia, PA (Lecturer). Advanced Real Estate Finance, CLE International, October, 2000 and June, 1998, 1997 and 1996, Philadelphia, PA. (Chair of 2-day program, Moderator and Lecturer). Real Estate Trends of Tomorrow, International Association of Attorneys and Executives in Real Estate, 9th Annual Conference, Williamsburg, VA, April, 2000 (Co-Chair of 2-day program). Construction Owner’s Concerns in Construction Loan Agreements, ABA Real Property Section Spring CLE, Miami, FL, April 2000 (Workshop Panelist). Construction Issues from the General Contractor’s Perspective, American College of Real Estate Lawyers Mid-Year Meeting, Palm Desert, CA, March, 2000 (Plenary Session Panelist). More Sticks and Bricks, ABA Forum on Construction Industry Fall Meeting, September and October, 1999, Seattle, WA and Philadelphia, PA (Co-Chair of 2-day program). From Noah’s Ark to Arcturus (the new AIA documents from the owners’ and lenders’ perspectives),ABA Real Property Section, 10th Annual Spring CLE & Committee Meeting, May, 1999, Washington, DC (Workshop Planner and Panelist). Standard Construction Documents from the Owner’s Perspective, National Restaurant Association Multi-Unit Architects, Engineering and Construction Officers, May, 1999, Chicago, IL (Lecturer). Brownfields: Odds On Favorite for New Development and Where is the Money? What Construction Lawyers Need to Know About Financing, ABA Forum on Construction Industry Annual Meeting, April, 1999, Las Vegas, NV (Planner of two workshops). Construction Issues in Buying and Selling Corporate Facilities, International Association of Attorneys and Executives in Corporate Real Estate, 8th Annual Conference, April, 1999, Carlsbad, CA (Session Planner and Lecturer). Life After the New AIA Forms: Will Litigation Ever Be the Same?,ABA Section of Litigation, Construction Litigation Committee and the Center for Continuing Legal Education, October, 1998, Philadelphia, PA (Lecturer). Owners’ and Lenders’ Considerations in Construction Law and Litigation, CLE International, September, 1998, Denver, CO (Lecturer). Mastering the Art of Affordable, On-Time Delivery, Associated Owners & Developers, August, 1998, Crystal City, VA (Moderator and Lecturer). The New AIA Construction Documents, ABA Forum on Affordable Housing, May, 1998, Washington, D.C. (Workshop Planner and Moderator). A Guided Tour Through the 1997 AIA Construction Documents, ABA Real Property and Probate Section, Spring Meeting, May, 1998, San Antonio, TX. (Program Co?Planner and Lecturer). AIA Document Revisions, International Association of Attorneys and Executives in Corporate Real Estate, April, 1998, Captiva, FL. (Roundtable Chair). One Size Does Not Fit All — Measuring Clients’ Concerns in Construction Projects, ABA Forum on Construction Industry Annual Meeting, April, 1998, Orlando, FL. (Workshop Planner). The New AIA Construction Documents From the Owners’ and Lenders’ Perspectives, Southern New Jersey Development Council, February, 1998, Mt. Laurel, N.J. (Lecturer). Consequential Damage Waiver, Revised AIA Construction Documents, AIA/ABA Joint Conference, October and November, 1997, Atlanta, GA and San Diego, CA. (Lecturer, Plenary Session). Hot Topics in Construction Law, Construction Forecast Seminar, Greater Philadelphia Chamber of Commerce, April, 1997, Philadelphia, PA. (Lecturer). Entertainment Centers, Philadelphia Chapter, CREW, February, 1997, Philadelphia, PA. (Program Planner and Moderator). Reuse of Old Buildings: Building the 24-Hour City, Philadelphia Chapter, CREW, March, 1997, Philadelphia, PA. (Program Planner and Moderator). Nuts and Bolts of Construction Disputes and Contracts, The Maryland Institute for Continuing Professional Education of Lawyers, March, 1996, Baltimore, MD. (Lecturer). Current Developments Under the Americans With Disabilities Act, Philadelphia Chapter, CREW, October, 1995, Philadelphia, PA. (Program Planner, Moderator and Lecturer). Insurance Problems in Real Estate, Development and Construction, Pennsylvania Bar Institute, April and May, 1995, Philadelphia, PA and Harrisburg, PA. (Lecturer). Lenders’ Concerns and the New AIA A121/CMc, ABA Real Property and Probate Section, Spring Meeting, 1994, Washington, D.C. (Lecturer). Limited Liability Partnerships and Update on the Pennsylvania Revised Uniform Limited Partnership Act, Philadelphia Bar Association, Partnership Law Committee, November, 1991, Philadelphia, PA. (Program Planner and Lecturer). Workouts and Bankruptcies of Real Estate Partnerships, Philadelphia Bar Association, Partnership Law Committee, October, 1990, Philadelphia, PA. (Program Planner and Moderator). Professional Corporations v. Partnerships, Employee Benefits Issues, Philadelphia Bar Association, Partnership Law Committee, September, 1990, Philadelphia, PA. (Program Planner and Moderator). Board of Directors (2001-present; Chair 2002-2009), Independence Visitor Center Corporation. Member (2001-present), Board of Overseers, Annenberg Center for the Performing Arts of the University of Pennsylvania. Member (2002-2005), Executive Committee, Greater Philadelphia Chamber of Commerce. Member (1990-2002; Chair 1999 and 2000), Board of Trustees, The Foundation For Architecture. Executive Committee (1995-2002), Board of Directors, Central Philadelphia Development Corporation. Executive Committee, Board of Directors (1995-1996), and Member, Program Committee (1995-1998), National Network of Commercial Real Estate Women (Philadelphia Chapter). Board of Directors, World Affairs Council (2002-2005). Member, Forum of Executive Women. Pro Bono General Counsel (1990-2005), WOMENS WAY, a funding federation serving women and their families. Participant, Leadership, Inc. (1991-1992 class). Member (1993-1999; President 1997-1988, Board of Directors, Maternal and Family Activities, Inc. (d/b/a Franklin Maternity Hospital).